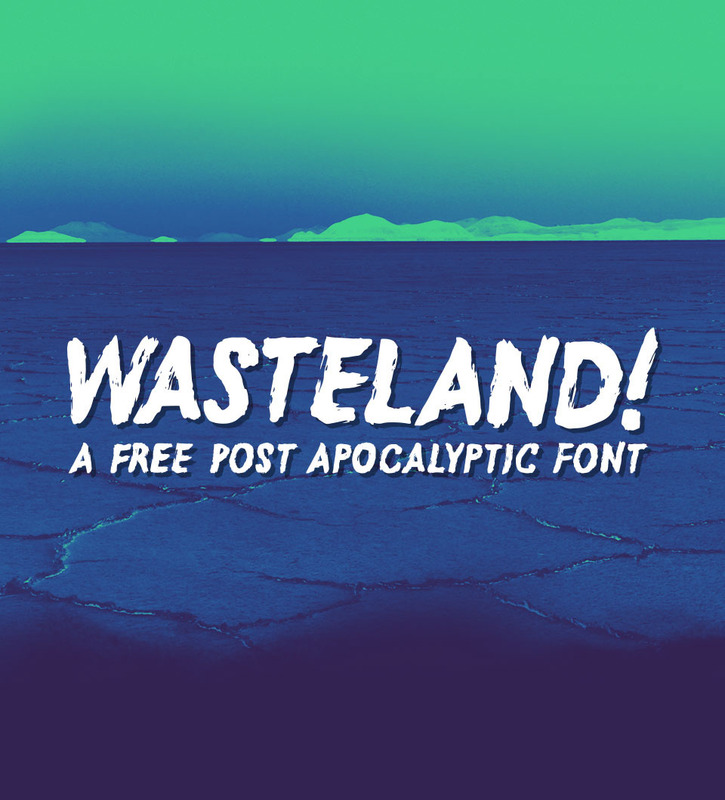 Wasteland is a free post apocalyptic font created by German designer Anton Bohlin. The font is free for both personal and commercial use, and you need to share or tweet it before downloading the font. According to the designer, this hand drawn brush font was inspired by a post apocalyptic future where civilization is wiped out, water and gasoline are the only accepted currencies on the planet and you only have a handful of shotgun shells left. As the blistering sun makes the faded paint on your front hood curl while you’re trying to hammer the sand out of your wrecked carburetor with a rock, you see familiar red dust clouds appear on the desert horizon and the distant roar of an approaching furious hoard of two-stroke engines.